These high weight capacity stools are great sitting solutions for the heavy person. 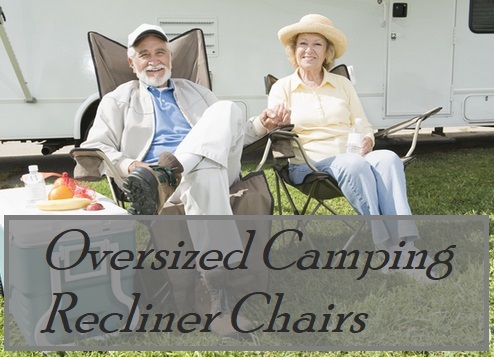 While they make great camping stools I find that they can be very practical for portable occasions such as Tailgating, parties, fishing and general seating solutions. Stools are generally more compact and lighter to carry around then a typical camping chair. Which is why many folks prefer a stool for camping and hiking adventures due to their ease of portability. I personally also use these stools for lunch breaks at work as some models even come with a cooler underneath the seat. So the drinks and food stay nice and chilled during a tough days work. While a stool is a very popular seating choice for many outdoors activities, they are not suitable for many people. In particular overweight or heavier persons. This is due to their simple design structure and lack of reinforcements that contribute to a lower weight capacity seat. I have witnessed people whom are not even overweight destroy one of the inferior stools by simply sitting down. 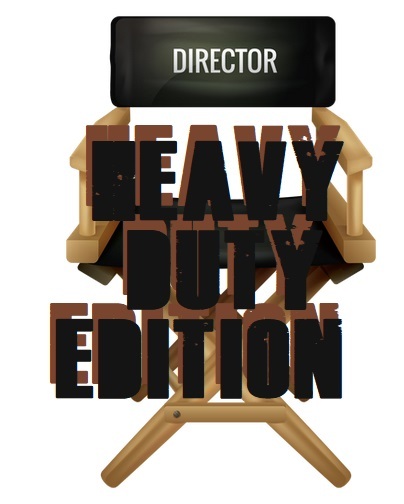 So as a big Man, it’s particularly important to pay attention to how heavy duty the construction is and to ensure the camping stool has a higher weight capacity to your standard stools you may find at your local department store. The stools below have all been thoroughly researched by myself and passed my Big Man test. So without further ado I present the best camping stools for heavy people up to 300 lbs. 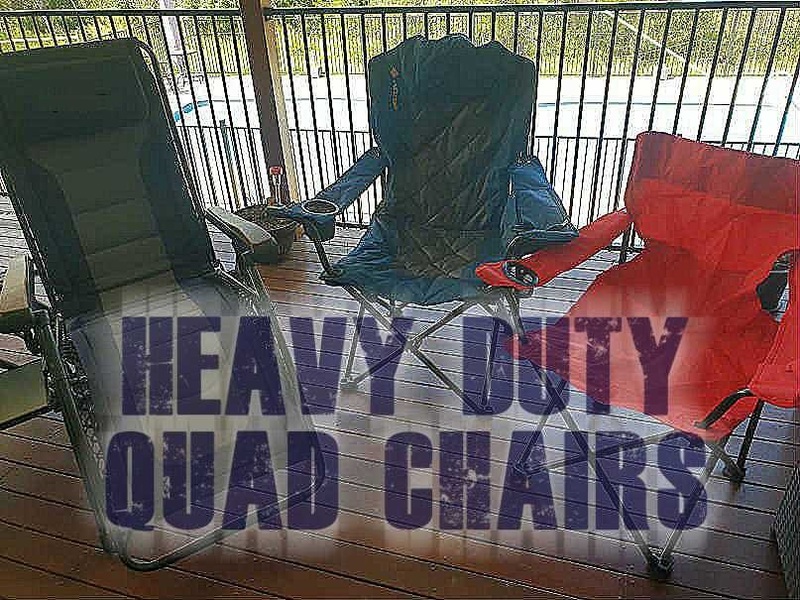 4 More suitable Camping Stools For Large People? Besides the cool Camouflage design of this stool, what I really love about it is that it can hold up to 24 cans. Underneath the seat you get a cooler bag attached to the chair with zippered pockets and even a drink holder. But the novelty lays inside the cooler. Add a ice brick or 2 along with a 6 pack and you can completely relax by the fire with a cold one at arms reach. It’s important to not that the weight capacity for this camping stool is just 270 lbs. So while it’s not suitable for obese people, overweight people will be able to take advantage of this seat and cooler combo. Unfortunately, I couldn’t find a cooler bag chair with a higher weight capacity. As for materials, the cloth is a Durable 600D Material and the tubing is made from steel. The seat size is about 14 inches wide and is raised from the ground level about 17 3/4 inches. Finishing off this camp stool is a something I haven’t seen on another before. Shoulder straps. This is a fantastic idea for packing up a picnic and going for a hike. Pack lunch and a few drinks in the cooler and you’re away. After a little bit of confusion about the weight capacity of this stool we decided its still worth a mention. On the product description page on Amazon you can see it has mentioned the weight capacity as 375 lbs for 1 person, while later on it mentions the stool holds 250 lbs. But according to the manufactures website Blantex it’s 375lbs. Here’s what we found :”All our furniture is made of heavy duty steel. Our beds are all rated for 1 person up to 375 lbs. Our furniture is made for long lasting quality and comfort.”. On this site they also sell the LB-1 folding stool. What I do like about the Blantex folding stool is it’s extra wide seat. While not very deep, the width is 17″ which is quite sufficient. The material is a polyester with PVC backing which a lot of air mattresses are made from. The stitching on the material appears to be double stitched for extra durability. The tubing is made form steel as mentioned earlier but it is also rust resistant which is quite handy for outdoors uses such as beach/fishing trips, used in the pool area or as a patio chair. Looks more like a camping chair rather than a stool. But as its a triangular shaped seat, it’s a lot easier to get out of compared to a low to the ground camping chair. Slipping the legs over either point of the chair is considerably easy and placing the backside on the 19 inch wide back half of the seat. The seat itself sits a little higher as well (17.5″) which is especially handy for the oversized population. I know all too well how hard it is to pull myself out of a camping chair with quite a few extra pounds on the belly. This triangular shaped camping stool is by Alps Mountaineering which are a well established outdoors company that sell quality items. This particular stool comes in with a 300 pound weight capacity. What I do like very much about the Alps Mountaineering Grand Rapids stool is the design. It’s the small little extras that go into this chair that make it special. Firstly while technically it may not be a stool because of the chair style backrest, it’s angled back nicely to maintain optimum comfort. Yet still very light and compact when folded up. But what I really love is the mesh like material. I will always choose a mesh material for as long as I am a Big Man. Why?. I hate sweating!. With a mesh chair you get more air flow due to the thousands of little holes. Every little bit of fresh air I can get on my body the less I will sweat. So a big thumbs up from me. The structural design is quite impressive also. Being a 3 point chair you would imagine it to be less stable than a 4 point chair. But because of the way the structure is designed I think it’s better than a traditional chair. Each of the 3 sides has a ‘x’ bar between them making for a very sturdy and potentially long lasting camping stool. More suitable Camping Stools For Large People? I hope the above oversized stools will be suitable for your next camping or fishing trip. But if not, fear not. There are a few more stools available online with higher than average weight capacity ratings. If these are not to your style, then you could always try a specialty camping store to see whats on offer. Either way, dont forget the marshmallows!.